심용섭, 이일규, 박승근, 민경일,(2011).ISM 기기에 의한 디지털 방송 서비스 간섭 영향 분석.한국정보기술학회논문지,9(2),245-251. 논문은 ISM(Industrial Scientific Medical) 주파수대역을 사용하는 ISM 기기가 동대역을 사용하는 디지털 방송서비스에 미치는 간섭 영향을 분석하였다. 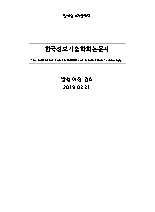 분석 방법으로는 CISPR(International Special Committee on Radio Interference) 11의 방사 기준치를 ISM 기기의 간섭 파워로 설정한 후, 최악의 경우 분석을 위한 MCL(Minimum Coupling Loss) 방법 및 이동성을 가지는 디지털 방송 수신기의 위치에 따른 통계적 간섭 확률을 도출하는 MC(Monte Carlo) 방법을 이용하여 보호 거리를 각각 산출 하였다. 그 결과, 채널 14번, 40번, 60번을 사용하는 디지털 방송 서비스 보호를 위해 MCL 분석 시, 각 채널 마다 184.97m, 104.67m, 73.79m의 보호 거리와 MC 분석 시, 채널에 무관하게 5% 간섭 확률을 만족하기 위해서 약 29m의 보호 거리를 제시한다. This paper analyzes the interference effect of ISM(Industrial Scientific Medical) equipment on Digital Broadcasting Service in ISM frequency band. For setting up interference power of ISM equipment, CISPR(International Special Committee on Radio Interference) 11 radiation limit standard was used. Then, MCL(Minimum Coupling Loss) which is for worst case and MC(Monte Carlo) which is for statistic analysis considering mobility of digital broadcasting receiver are used to get protection distance. Finally, according to each channel number 14, 40, 60, protection distance of 184.97m, 104.67m, 73.79m were calculated separately for the worst case. The protection distance of 29m to meet 5% of interference probability was calculated for statistic analysis regardless of channels. As a result, this protection distance was suggested to protect digital broadcasting service from ISM devices.